I’m feeling a bit renewed this week as far as getting stuff done. Maybe it is because the weather is finally starting to resemble something close to fall-like, or maybe I’m just ready to finish this project up…either way, onward I go! Remember, the tasks for today should be completed with the idea of accomplishing the goals you set up for the week (see Challenge #15 if you missed the details). My list for today includes tackling my front steps. I don’t know how it has become a dumping ground…but it has. Set a timer for 15 – 25 minutes and clean your vents. Vacuum/clean any dirt or grime around the floor vent area and replace the vent. Use a vacuum attachment and/or a wet rag to dust/clean your other vents. If you have a little extra time,and have floor vents that can be removed, remove them and wash them in warm soapy water. PreviousGet Ready for Halloween with great Strawberry Shortcake costumes and more from Costume Discounters! 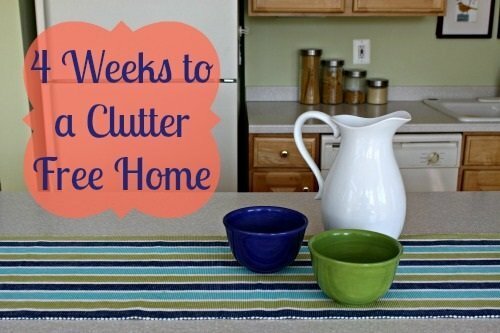 4 Weeks to a Clutter Free Home: Bonus – 14 Home Organization Tips!